Start off your visit on the 29th (Fri): try your luck at Harrah's Philadelphia, explore the world behind art at Philadelphia Museum of Art, then pause for some photo ops at Liberty Bell Center, and finally ponder the world of politics at Independence Hall. For photos, more things to do, reviews, and tourist information, use the Philadelphia journey builder website . Use the Route module to find travel options from your starting location to Philadelphia. Expect a daytime high around 50°F in March, and nighttime lows around 33°F. Cap off your sightseeing on the 29th (Fri) early enough to travel to Miami. 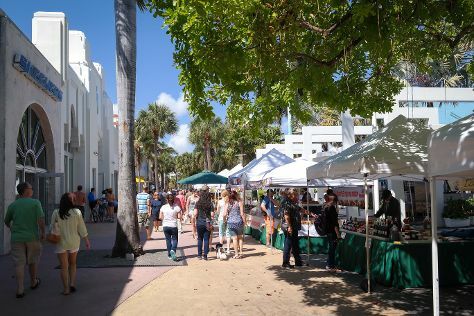 On the 30th (Sat), examine the collection at Vizcaya Museum and Gardens, take in the waterfront at Miami Beach Boardwalk, then take a stroll through Lincoln Road, and finally buy something for everyone on your list at Bayside Marketplace. On the 31st (Sun), you'll have a packed day of sightseeing: wander the streets of Art Deco Historic District, then make a trip to Ocean Drive, and then kick back and relax at South Beach. For traveler tips, photos, where to stay, and more tourist information, refer to the Miami online journey planner . Getting from Philadelphia to Miami by flight takes about 5.5 hours. Other options: do a combination of train and flight; or drive. Traveling from Philadelphia in March, things will get much hotter in Miami: highs are around 81°F and lows about 65°F. Wrap up your sightseeing on the 31st (Sun) early enough to travel back home.